Suzanne was born a short distance outside Boston, Massachusetts, a short time before man first walked on the moon. With two somewhat rowdy brothers as her earliest influences, she grew up adept at catching frogs, stomping in mud, and smashing things with sticks. To what extent she has outgrown any of those behaviors, so far, is a matter for debate. She has been an avid reader of science fiction & fantasy from practically the moment she learned to read. She has also had a lifelong interest in all things creative, though if she has any musical talent it remains so far undiscovered. She won several art competitions as a child, and when she went off to college followed that love. Suzanne has a Bachelors degree of Fine Arts in sculpture from the University of Massachusetts at Amherst. Even during college years, her artwork had a strong narrative component, and her thesis exhibition consisted of an entire museum exhibit of artifacts from a fictional world. This included clothing, coins, furniture, manuscripts in an entire created language, and an 8' tall two-legged creature complete with horns, fur, and teeth. Unfortunately there's a limit to the number of gigantic animal sculptures one can reasonably find places to keep, so Suzanne shifted much of her energies to 2D work. The work became more and more narrative in nature until late 2001 when, at a friend's challenge, she took up writing directly. She'd dabbled with writing off and on most of her life but had never taken it particularly seriously, and had no intention of taking it seriously that time either, until after a month she had an entire 100,000-word novel in her hands. More than that, she had a really bad 100,000 word novel, so she went back to fix it, and fix it some more, and then realized with some surprise that it was no longer entirely awful. This was, as they say, the beginning of the end. In 2005 she attended the Viable Paradise Writers Workshop on Martha's Vineyard, and came away from it both unreasonably encouraged and with the rather surprising realization that writing had become an indelible part of her life, even more so than art. She's been writing ever since, still does art when she can, and otherwise is just plain having fun with it all. 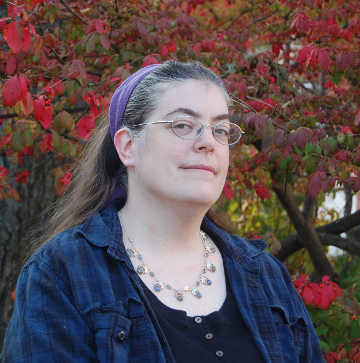 She has been nominated for the Theodore Sturgeon Memorial Award and the Eugie M. Foster Award. She has won reader's polls for best stories from Asimov's, Analog, and Interzone. Her first novel will be coming out from DAW Books in 2019. 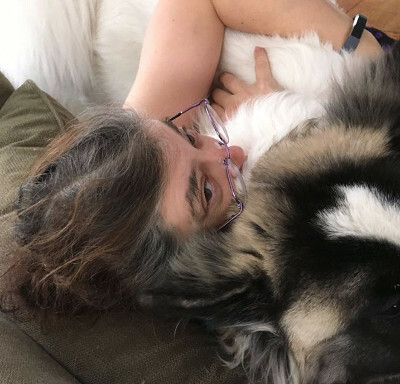 Suzanne lives in western Massachusetts with a number of two- and four-legged critters, including one Very Large Fluffy Dog, and is a Linux and Database System Administrator for the Sciences at Smith College.